This statistic shows the average life expectancy at birth in Guinea-Bissau from 2006 to 2016, by gender. 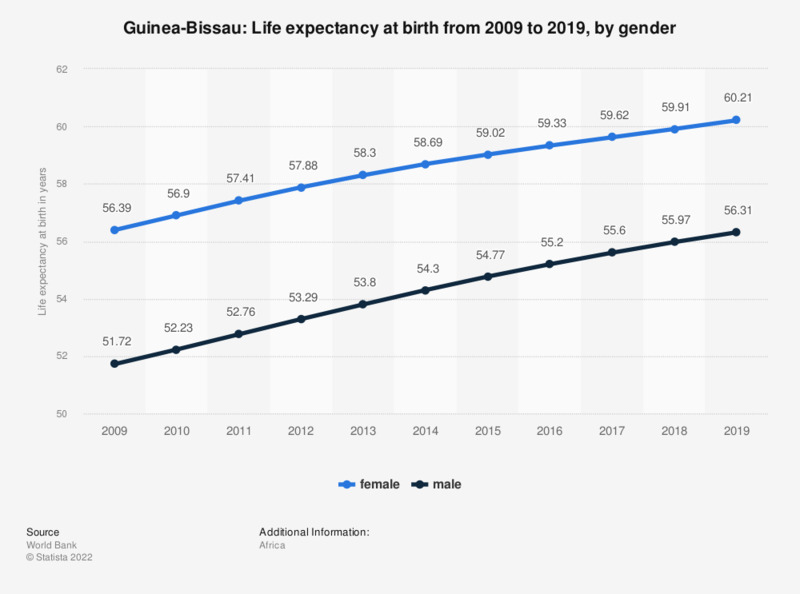 In 2016, life expectancy at birth for women in Guinea-Bissau was about 59.13 years, while life expectancy at birth for men was about 55.66 years on average. Statistics on "Demographics of Scandinavia"
Register in seconds and access exclusive features. ...and make my research life easier.